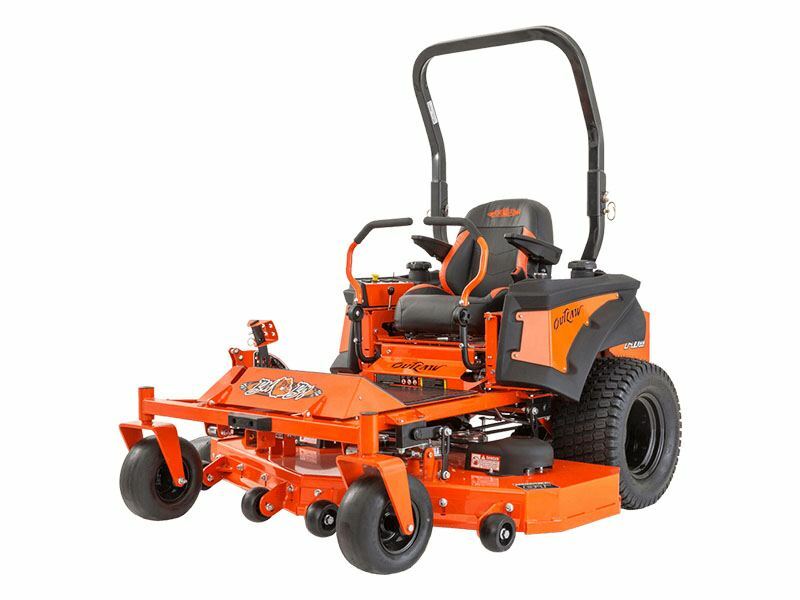 The Outlaw Class of zero turn mowers features the Outlaw Extreme and Outlaw, and both were built blades up from professional users and owners input and wish lists. And even though we’ve improved it year after year, at its core is the heart of every Bad Boy Mower that came before it. With powerful engine options, coupled with a choice of Hydro-Gear® drive systems, it’s a virtually indestructible mower at just the right mix of power for professionals — and priced for homeowners. It’s rock-solid build construction packed with more power for a better price — and that’s classic Bad Boy. Stop by and see our full line of equipment today!!!!!!!!!! We service what we sell. We service what we sell!!! Come by for a test drive today.